A day rarely goes by without us hearing how someone in the cryptosphere got scammed. The volatility and the lax regulation of the space simply attract a lot of malicious people who are looking to scam other into giving them their hard earned money. At the same time, the promise of quick overnight riches attracts a lot of naïve people who will fall for those scams. Such a space is bound to be a fertile ground for various forms of hacks, phishing attacks, or straight up scam projects looking to cash in on the crypto mania. 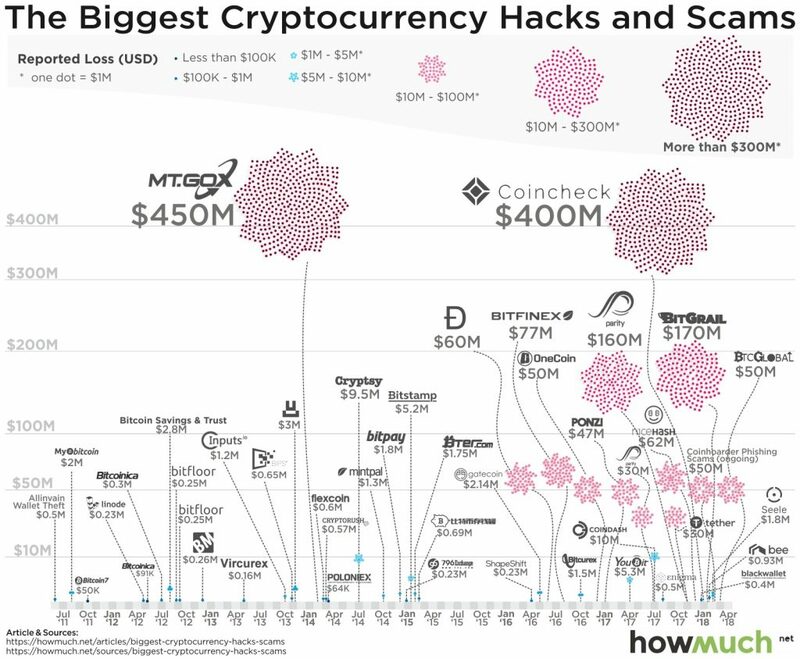 Exclusive Crypto Aware data indicates that $1.7 billion worth of cryptocurrencies was lost to hacks and scams from 2011 to 2018. US Securities and Exchange Commission released a statement in which they confirmed that scamming is rampant in the crypto world and signaled their intention to work hard on implementing regulations which will hopefully fix the rampant scamming that’s been going on in the cryptosphere. With that in mind, let’s take a look at a couple of biggest crypto scams ever in an effort to gain an insight into what exactly might end up getting banned. Mt. Gox was a Japan-based (Tokyo) cryptocurrency exchange that was the most popular platform of that sort at the height of its popularity, with almost 70% of Bitcoin traded on the market going through this exchange. It operated from 2010 to February 2014, its name was an acronym made out of initial letters of the phrase “Magic: The Gathering Online Exchange”. Its massive profile made the company both a target for hackers and a “holier than thou” attitude. The first one led to a series of security breaches and hacks which led to thousands of Bitcoins being stolen. The second one led to Mt. Gox getting too involved into market making, as they once suspended trading on the platform for several days, to cool the market down. Sadly, of these were a sign of things that were soon to come. In early 2014, customers started complaining that they had requested withdrawals from Mt. Gox but never received the money. Soon after, the exchange suspended its trading, closed its website, exchange service and social media, and filed for bankruptcy protection from creditors. Mark Karpeles, the lead man of the exchange, soon revealed that hackers were continuously draining funds from the company’s wallets without anyone catching them. This entire event had a very strong effect on the market. It was soon revealed that 6% of the total supply of Bitcoin, or 850 thousand Bitcoins, were missing from the exchanges wallets. This amounted to 450 million USD back in 2014. As a result, the Bitcoin market dropped by 20% and took ages to recover. While the company managed to recover 200 thousand lost Bitcoins, that was still far from the entire sum that they lost. Some of the lost/non-returned Mt. Gox funds are held on whale and trustee accounts, and one of those confirmed accounts recently sold 400 million USD worth of BTC, causing a flash crash of the market. The account was a trustee who was given a court permission to sell of the coins. Many people fear that said accounts won’t hesitate to sell off the rest of their holdings in the future (when the BTC price goes up). After all, they had no problem freezing out thousands of people off their funds, why would they be bothered with the entire market crashing and burning? There is also the little bonus of lowering the BTC price that will only help the trustees pay less to the damaged customers. Mt. Gox is currently embroiled in a number of legal procedures, claims and lawsuits, one of which recently confirmed that Mt. Gox will be required to pay their dues to the damaged customers in Bitcoin. There are 24,750 approved claims, totaling ‎roughly ¥‎45 billion ($432 million), almost all of them from former Mt. Gox customers. The Mt. Gox case is certainly the most famous hack/scam in the crypto history and its effects will be felt for many years to come. Lending platforms became all the rage in 2017. Bitconnect, Davor and similar projects quickly rose to prominence on the back of intense marketing campaigns, promises of mad financial returns (40 percent total return per month, with a daily ROI of 1%!) and the faith and money of gullible people. BCC at one point boasted an impressive market cap of 2.6 billion USD and had a single coin valued at over 400 USD. The company even developed its own proprietary “trading bot and volatility software” that would turn your Bitcoin investment into a fortune. Sane people saw right through these lending projects and exposed them for what they really were. “If [one percent per day] is what they offer, then that’s a Ponzi [scheme],” said Vitalik Buterin when asked about Bitconnect and similar projects. For reference, Ponzi schemes are the same thing as pyramid, multi-level marketing schemes, where investors are encouraged to earn money by bringing in new investors. Such systems work as long as there is an influx of new investors. Once this well dries out, the people at the bottom of the scheme’s pyramid lose everything, while the ones on top run away with biggest earnings. And it was clear from the start where this one was going. People like Ryan Hildreth, Trevon James and Craig Grant were used as the top promotors of the system, posting daily videos on Youtube for hundreds of thousands of viewers in which they described how easy it was to earn money with the platform. Of course, they forgot to mention that the money they earned came from the regular influx of investors that would click through the registration links they would post below their videos. Soon, the law took notice and swooped in to intervene. Following an investigation in November, the British Registrar of Companies served BitConnect with a strike-off notice, threatening to shut it down and dissolve its operation. Texas Securities Board followed that up by serving the company with a cease and desist order with claims that BCC needs to comply with their securities guidelines before continuing to operate. The notice from the Texas Securities board was followed by yet another cease and desist letter– this time around from the North Carolina Securities Division. 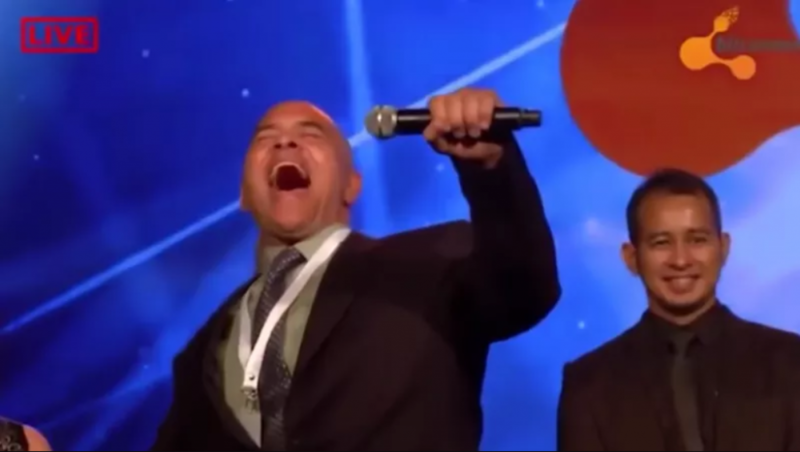 Following a string of attempts to recover their tarnished image (including running their own news platform and promoting insane giveaways, which never materialized), Bitconnect announced that it will be shutting down its lending platform. BCC token immediately took a nosedive, going from just above 360 USD to 6 USD in a single day. Soon after, various social media became filled with BCC holders desperate posts regarding their lost fortunes, with some of them investing everything they had into the project. Bitconnect was the biggest crypto Ponzi scheme that spawned a lot of imitators like OneCoin, Davor, EthConnect, XRPConnect etc, all of which are defunct now as well. Besides giving the world one of the best memes of the year, BCC fiasco stands as a reminder that both the space is extremely volatile and risky and that you should never invest your money into pyramid schemes. This project was a clear case of aggressive marketing hyping up a non-existent product. 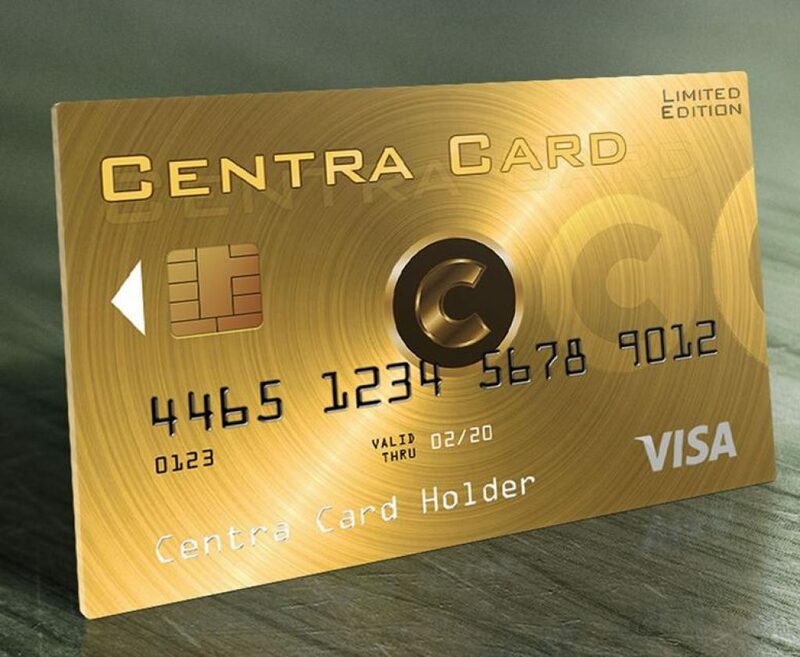 Endorsed by Floyd Mayweather and DJ Khaled, Centratech claimed it would become the first platform that lets people convert cryptocurrencies directly into fiat, with the help of Visa and MasterCard debit cards. All of this sounded extremely promising, so much so that the company collected 32 million USD during its ICO. However, the smoke screen soon lifted and the nasty details behind the project were revealed. Its founders Sohrab Sharma and Robert Farkas apparently created fake executive profiles with impressive biographies and posted misleading marketing material on their website and social media. They also paid a lot of money to previously mentioned celebrities to endorse their product. This practice is a regular one, since famous people mostly don’t care what they promote as long as they are getting paid. Poloniex is another large crypto exchange – read our guide and review of Poloniex. As a result, the SEC will be looking to seek permanent injunctions with an added intent to force Sharma and Farkas into returning the stolen funds with interest. The pair will also be barred from serving as company officers or directors, and be banned from participating in any securities offerings. As a general rule of thumb, projects that invest most of their money into viral marketing and celebrity promotion before even having any semblance of a working product, are probably just looking for a quick cash-in. The list of cryptocurrency scams and failed projects is probably too long to put into a single blockchain, let alone a single article. This neat graphic shows you some of the biggest scams this space ever experienced. Even with the promise of increased regulation, the scamming is still rampant and will probably continue to be so for a while longer. Therefore, always be on your guard and do your own research before investing into any project available on the crypto market.